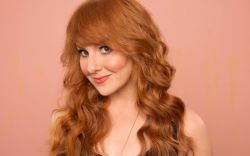 SF Sketchfest Tribute: Julie Klausner in conversation. SF Sketchfest is thrilled to pay tribute to the hilarious Julie Klausner, who will sit down for a spirited onstage conversation about her life and work. Julie Klausner is the creator, writer and star of Hulu’s critically acclaimed Difficult People, produced by Amy Poehler and starring Klausner and Billy Eichner as two pop culture- literate, struggling comedians in New York City who hate everything in the world except for each other.Her television writing credits include Billy On The Street (Head Writer/ Co-EP Seasons 1-4), Mulaney, Triumph & Jack, Best Week Ever with Paul F. Tompkins, and The Big Gay Sketch Show. She’s also written for Robert Smigel’s “TV Funhouse” on SNL, and for the late Joan Rivers on a few different occasions.Her long-running podcast, How Was Your Week, was called “one of the few essential podcasts” by the New York Times and was named one of the best 10 comedy podcasts of the moment by Rolling Stone and GQ.Her first book, I Don’t Care About Your Band, was released in 2010 and optioned for HBO by Gary Sanchez Productions as a series starring Lizzy Caplan. Her YA Novel Art Girls Are Easy was published in 2013 and she’s written pilots for NBC and Hulu.Julie’s voice acting credits include regular roles on Comedy Central’s Ugly Americans and guest star credits on Bob’s Burgers and Zoolander: Super Model. Her acting credits range from music videos for the New Pornographers and Ted Leo to guest starring roles on Delocated and Strangers with Candy.She’s appeared as herself as a guest or panelist on Late Show with Stephen Colbert, The Wendy Williams Show, The View, Fresh Air with Terry Gross, Late Night with Seth Meyers, The Today Show, @midnight, The Nightly Show with Larry Wilmore, Best Week Ever, The Approval Matrix, and, of course, America’s Next Cat Star on Animal Planet.Julie’s editorial writing credits include pieces for The New York Times, New York Magazine, Vulture, McSweeney’s, Salon, The A.V. Club, Nerve, and The Awl.She regularly performs her own solo shows live in New York City.